When your day at the office is over and you’re ready to relax, unwind, and socialize or take some time for yourself, nothing takes the edge off like indulging in a satisfying drink and some light fare in an inviting environment. Whether you’re joining colleagues to talk over drinks, catching up with friends, meeting a date or grabbing a free moment alone, there’s no better place for happy hour specials in Dearborn, MI than TRIA. As an American-style brasserie offering American, French and bistro food, as well as seasonal specialties and a full menu of unique drinks, TRIA offers an engaging and relaxing upscale bar and fine-dining experience unlike any other. When you come to TRIA, you’ll get the best of both worlds in flavor and atmosphere. We’re focused on providing full satisfaction and full attention to both our bar and restaurant offerings, and we’re your number-one stop for the best happy hour in downtown Dearborn. Our full bar includes comfortable seating, TVs for entertainment and the option to enjoy drinks in either our restaurant or bar seating. Feel free to stop by the bar for happy hour specials before being seated for a satisfying meal or order our exquisite drinks from the comfort of your restaurant seating. You can also spend your happy hour exclusively at our bar, sampling our full array of drinks for every taste and even satisfying your hunger with appetizers, entrees and desserts to complement your cocktail or other adult beverage. What could be better? Whether you want to enjoy a classic cocktail, comforting brew, specialty bar drink or tantalizing glass of wine, TRIA’s bar satisfies your tastes and cravings in style, every time — in a relaxed environment that combines a comforting, home-like atmosphere with luxury flavors and innovative original offerings. 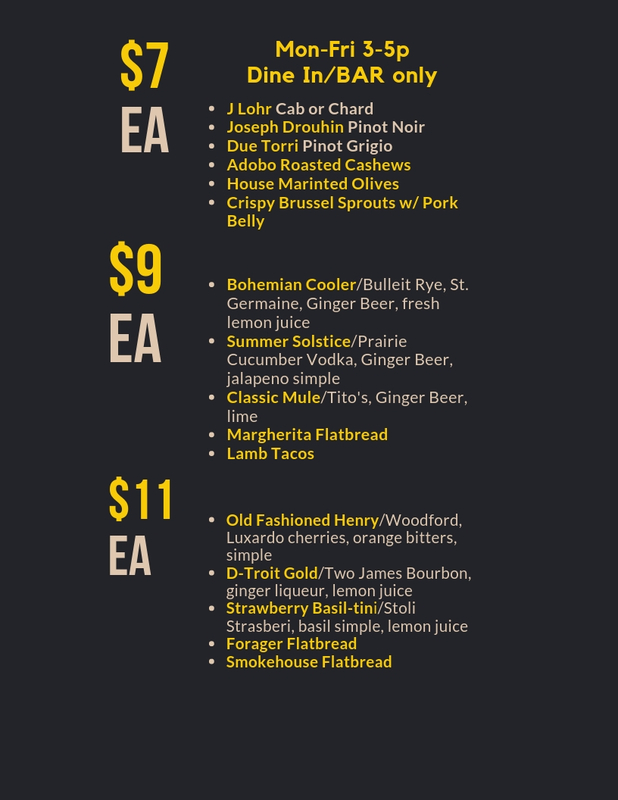 Stop by TRIA for the best happy hour in Dearborn, MI, or make reservations to get a taste today.